Recently, I just feel that I am not independent as I used to be. 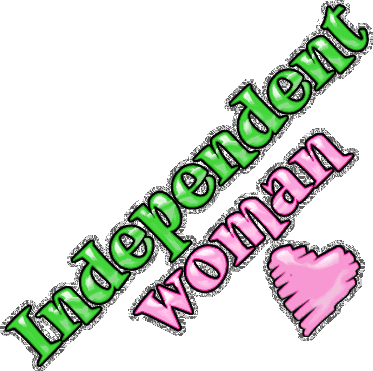 Independent in some cases which I wish I would be. In some cases I wish I don't need any hand to help. Then now it was not my main case any longer, coz my husband almost always grant my request as long as he's able to do it for me. tepat. Malah rugi kalo ga manja sama pasangan ya mbak hehe..
Nice blog and i Like this... ! Kunjungan malam. O ya, jangan lupa follow back ya? Saya sudah jadi follower #132 thanks. thank you so much kang asep..
Intinya independent women itu bagus. Itu aja. Gak tau kalo bhs inggris beginian. yaa kalau bisa sendiri, kenapa enggak? My friend ever said that once she got married, she became more dependent, turning swiftly from being an independent woman who does everything by herself into a helpless person. Now this is the second story I know, then... But I think dependency can only be harmful in certain cases, such as being dependent on certain things (money maybe) to feel happy, or being dependent to other people to start something which can actually be started by ourselves..
as a comparison, I am as a man certainly proud to have an independent's wife. so fully support you to be the one. But the man remain as a man, that would be proud if the woman respect him. so, you shold make an equilibrium of that. I, as well, desire to be independent. In this case, especially in terms of finance. I know I have a husband who supports me financially. But I also realize things happen -- spouse's illness, spouse's death, etc. When any of that happens, I want to be able to stand up and give help for others and for myself. you are just like my mom kak.. She also thinks that way. It's kinda big NO to buy her-own-self stuffs with pak zamhur's money hehe..